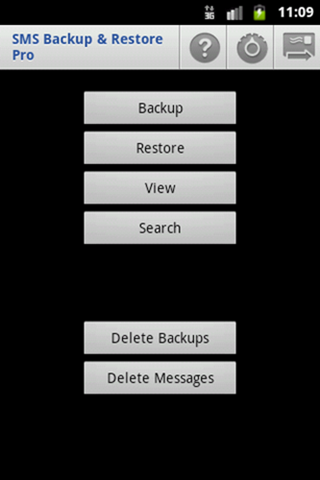 SMS Backup & Restore For Android: Backup Text Messages (Scheduled), Send Via Email And Restore! While Apple offers a more straightforward unified system of backup and restore of its iOS devices through iTunes, Google has a more modular approach with Android. Your contacts are backed up through Gmail, apps and other purchases through Play Store, list of apps, bookmarks and system settings. 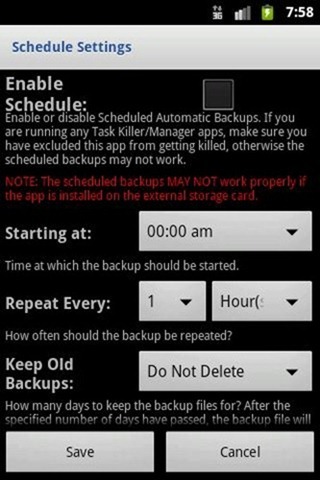 Other, more important data such as photos, text messages, homescreen configuration, apps settings etc. have to be backed up through third-party solutions. Keeping that in mind, we’ll be talking about enthusiast-favorite SMS Backup & Restore in this post. It is hands-down the best way to backup and restore text messages on your Android device, and you can check it out after the jump! A simple App to Backup and Restore SMS Messages. * Backups are created in XML Format on the SD Card. The XML can then be converted to other formats and can also be viewed on a computer. Upon launching the app, you are presented with a straightforward menu from where you can backup, restore, view backups, search for texts in backups, delete entire backups / messages. Backups can be set up to be taken automatically and then you may email the backups to yourself. Our only gripe with the app is its inability to send backups to an email automatically. It would be even better if SMS Backup & Restore offered Dropbox integration. SMS Backup & Restore comes in two versions: a free version [Play Link] and a “Pro” version [Play Link] that, as far as I can tell, is simply a way for users to help financially support the developer, which like we’ve mentioned on several occasions; is always a good thing. Don’t forget to let us know what you think of SMS Backup & Restore by leaving a comment over on our Facebook and Google+ page.